Thiviers is a pretty, active town that has seemingly remained unchanged with the passing years. 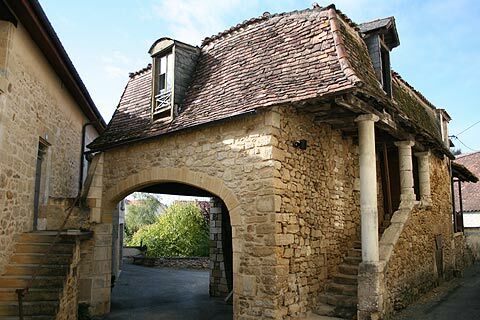 The town falls between the more deeply valleyed landscape to the north and the more gently rolling countryside to the south, and is a good base for exploring this northern part of the Dordogne region. Above all, Thiviers prides itself on its local speciality - foie gras - and the other local products such as walnuts and truffles. 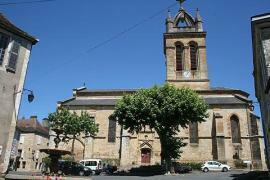 Indeed the town prides itself on being the 'Capital of the foie gras in Green Perigord'. 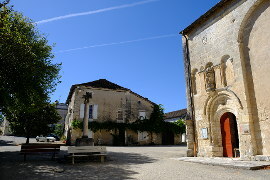 To learn more visit the museum in the town dedicated to foie gras production. 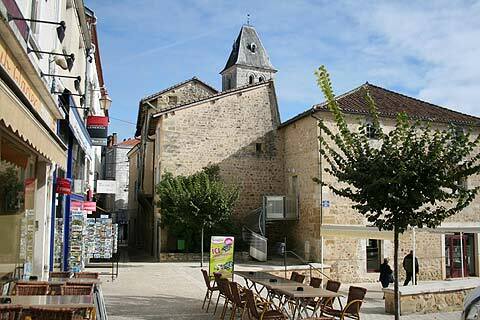 The museum is next to the tourist office on the edge of the towns main square - the Place Marechal Foch. Foie gras aside, it is the old part of the town near the church that will hold the most interest for visitors. 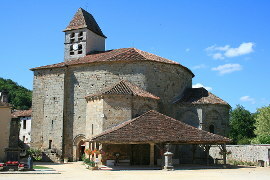 The church, the eglise Notre-Dame de l'Assomption, was built in the 12th century and renovated in the 16th and 19th centuries. Especially, don't miss the devilish carvings on the columns in the church. 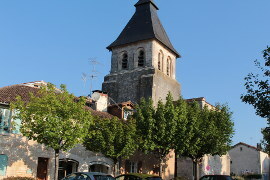 Next to the church is the attractive 'chateau de Vaucocourt' and both the church and chateau command lovely views of the Perigord countryside. 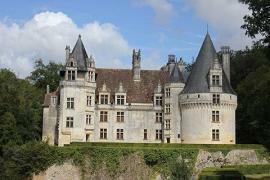 The chateau de Vaucocourt was built at the end of the 16th century. 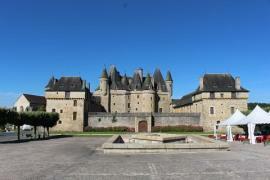 An earlier defensive chateau existed in the 12th century but was destroyed by the Huguenots in the 16th century. The chateau is private and not open to the public but nontheless you can admire its attractive turrets, mullioned windows and the stone coat of arms carved on its facade. The town also has an important history of producing pottery (faience) and there is a museum dedicated to the story of the production. Thiviers has a lively market which takes place on a Saturday morning. 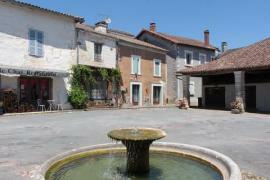 Thiviers makes a good base if you want to explore the beautiful countryside of the Parc Naturel Perigord-Limousin. 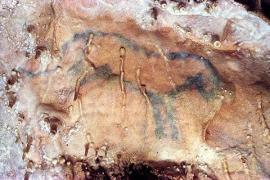 It is officialy one of the six gateway towns into the Natural Park. 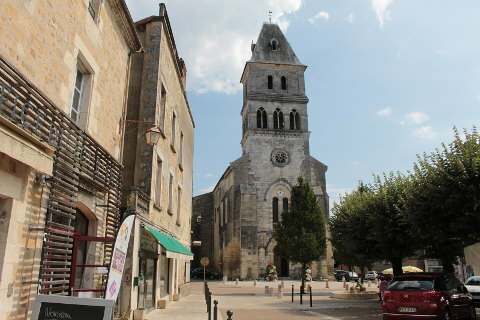 While at Thiviers don't miss the nearby village of Saint-Jean-de-Cole, 7 km to the west - an attractive village with a stone bridge over the river, and a well preserved old centre with covered market and church. If you want to visit a chateau which is similar in style though much larger and open to the public the Chateau de Puyguilhem can be found to the west of Thiviers.